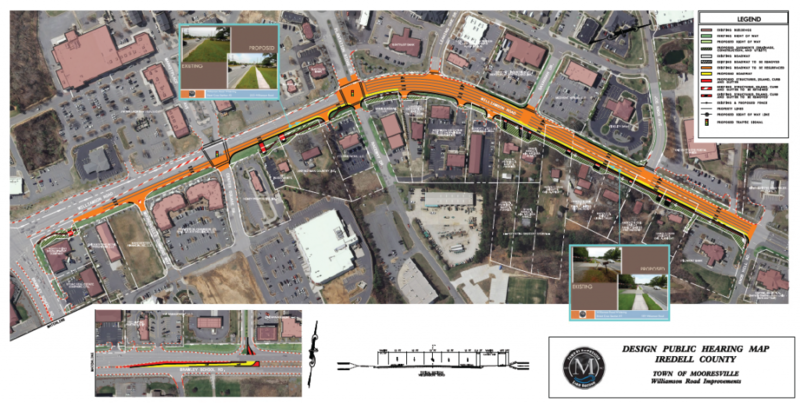 American Engineering is providing roadway planning and design services for the Town of Mooresville to expand the capacity of Williamson Road. The project, which extends north of Brawley School Road, will include roadway widening, sidewalk construction, and storm drainage improvements. This infrastructure project will provide improved traffic movement in a fast-growing part of Mooresville, which is lined with popular retail establishments. American Engineering’s design will also ensure maintenance of traffic during construction for the transportation systems in the area. In addition to increased traffic capacity, the project will add sidewalks to aid pedestrian access and improve safety.